great review guys will be trying this one soon! Good to hear, Steve. I know you’ll love it. Scott is one of the ‘Hardest Working Man’ in the hot sauce business. We run into him at the various farmers markets in the Bay Area. He is a combination of P.T. Barnum and Martha Stewart. He also has some great tasting sauces to back up his snappy patter. We cannot wait to try this sauce. Great review too! @Chilebrown – great description! Thanks for implanting that image in my head! Thanks for the solid review, Brian! Really glad you enjoyed this sauce – it’s my pride & joy right now. It was quite difficult to find a vegetable combination that complimented the Scorpion peppers – fruits really highlighted and helped to feature it. I tried a few combos but fig & apple was my favorite. I wanted some fruticose as well as a bit of acid from the tartness in the apples & lime and I think it all balanced very well – I’m thrilled with the results. lol @ Chilebrown’s description of me. PT Barnum + Martha Stewart – hahaha! That’s kinda how I feel most days – up at 05:00 AM, slingin sauce at the market by 8. While it is indeed work, I wouldn’t trade it for anything – I get to talk hot sauce & light people up all day. Thanks again for taking the time to review my new Black Label – excellent review! We think it’s your best yet, Scott! See you on Google+. Looks like a good one. That label looks like an indie beer label, very classy. Hey Brian….great review!! Scott has definitely created a winner here. 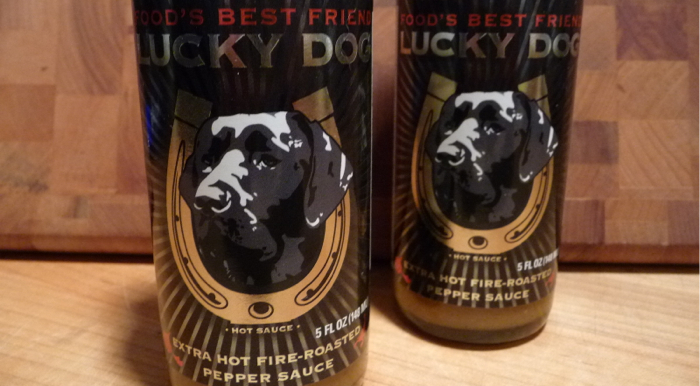 I love the “Black Label.” He really nailed it…making a great hot sauce for the mass market using a superhot! I agree, Bill. And I saw your video – seems you like it too!